Does Hemp Oil Help Eczema? 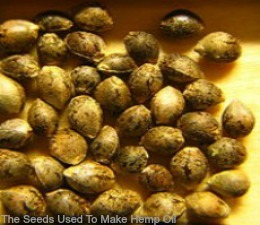 Hemp oil is made from the seeds of the hemp plant. It's Latin name is Cannabis sativa. The big advantage of hemp seed oil is it has a high concentration of essential fatty acids. What makes it one of the good essential fatty acids sources is that it contains omega-3, omega-6 and omega-9. In the management of eczema fatty acids help to keep your skin moisturised, keeping it supple, and reducing skin breakage and damage. Another great property it has is it is a great natural anti inflammatory. 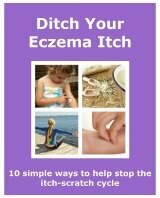 This can also help with the symptoms of your eczema. It can reduce the redness and hotness, which can improve any itchiness. This helps to break the itch-scratch cycle. The oil and capsules can be brought from health food shops. The high content of omega-3, 6 and 9 makes hemp seed oil a great alternative to fish oil. This is particularly helpful if you are vegetarian, or allergic to fish. It is totally natural, so it shouldn't cause any side effects. Because of it's Latin name, the Cannabis Sativa plant, people may worry that it will have the same effect as cannabis smoked for recreational use. You should not worry about this. During the processes to make the oil any of the side effects related to cannabis are removed. The great content of essential fatty acids means that this versatile oil may help with many ailments. Studies have also shown that it may help prevent cancer, heart disease and diabetes. The benefits of hemp seed oil means that it maybe worth having some each day. Just 1 tablespoon a day taken for a few days could show an improvement in your eczema. So taken long term it could be of real benefit to your health.